Succulents have taken the world by storm. Not just the gardening world either, I have friends that are puzzled at the amount of time I spend playing in the dirt but make fairy gardens for hours with tiny cuttings and popsicle sticks. Go figure. Don’t be fooled though, my gardening addiction would not exist today without these gorgeous little plants. Succulents and cacti opened up a new world for me.. the one outside the front door. Apparently it’s always been there but I have little friends living in my phone that previously blinded me to that. 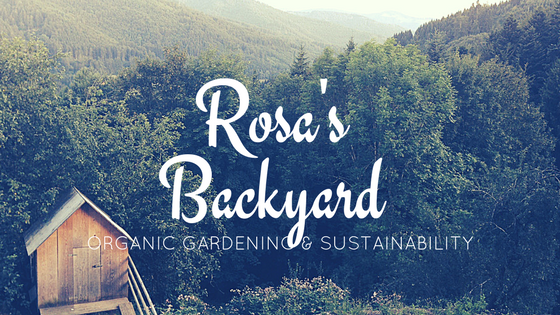 One struggle all of us plant addicts face is simple; we want MORE! Sometimes though, it takes over the savings budget. And the food budget. And the rest of the budget. It’s okay you don’t need to be ashamed, you’re not alone! I even wrote a book about it. Today I’m going to give you the section of my book, LEAF PROPAGATION, for free simply because I feel your pain. 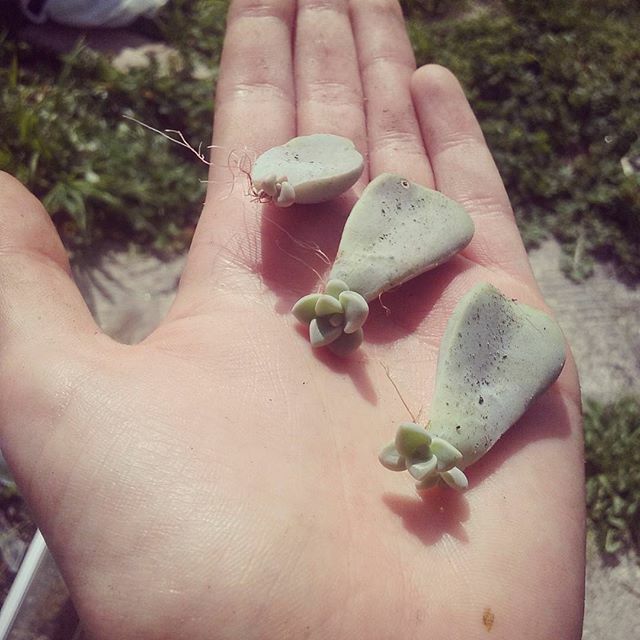 Leaf propagation is one of the easiest styles of succulent propagation to perfect and has a very high success rate. The main benefit to leaf propagation is that there is no waste from the plant, and it is a great way to repurpose succulents that have come leggy and unsightly during winter time. Step One: Choose the succulent you wish to propagate. For a first time it is best to choose a ‘leggy’ plant. This means that the leaves are sparse or widespread due to lack of sunlight. These plants are the best variety for leaf propagation. Step Two: Once you have chosen your desired plant, remove the leaves. To do so, simply hold on to a leaf and gently move it side to side until it comes off the plant. If the whole leaf does not detach it will not root, and if the separation is not clean it will leave your original plant susceptible to rot. Step Three: After removing all of the leaves, place them in bright, indirect sunlight for three to seven days. A windowsill or tabletop that receives sunlight through the window is an ideal position. This allows the leaf to dry out, as placing it directly into soil will cause the leaf to rot. Step Four: After the leaf has dried out, you will notice the end will start to ‘callous’. For most succulent varieties, this will look like a small pink bulb has formed where the leaf was detached. Some succulent varieties will simply have gone hard and white at the end. This is the time to place your leaves in succulent soil, and begin misting with water every two to three days. 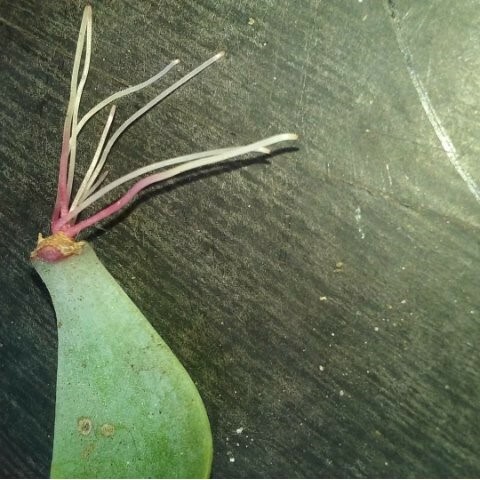 In about seven days, you will not that roots have started to form on your leaves, and a few weeks after that you will notice small succulents growing from the tip. Do not panic if this process takes a little longer than the specified time, as it depends on the conditions and health of the original plant. Here are some photos of a leaf I grew, so you can see for yourself. The rest of the book has information on the correct dirt for your succulents, what you can plant them in and other methods of propagation, including how to safely remove your ‘baby’ plants. If you want to purchase it for $1.99 USD, the link is here: http://bit.ly/26JpKmA, and if you don’t want to purchase it there’s lots of other great books on Amazon that can help you too! The link will lead you to Amazon so don’t panic, I use bitly because 1: it’s short and I’m lazy. 2: It shamelessly lets me see how many people have clicked my link. Shared on my Facebook Page. Glad to find a fellow succulent grower. Propagating Succulents From Leaves, This is great info for those that are just starting out or not sure how do this. My mom has been doing this for years. I used to beg trimmings off my coworkers plants at their desk just to add to my collection! So clear and easy to follow. I feel like I can do this now! Thank you! I'm so happy it helped.